Creator's Parrot on Blog Talk Radio reached over 10,000 visitors today for "The First and Last Song" program that began airing in January 2010. The program's first air date was January 17, 2010. Since that time, Valerie Michele Oliver has produced and hosted nine shows featuring celebrity and independent guests in music arts, business, healing arts, spiritual arts, and social media. Guests are interviewed and given a platform to discuss their music, spirituality, healing and humanitarian concerns. All programs are available 24 hours a day, seven days a week as on-demand podcasts. Creator's Parrot Support Network is a support blog that highlights the individuals and business who have and continue to contribute their time and financial support to the programs. Print and audio ads for Creator's Parrot on Blog Talk Radio are welcome. Contact Val. Creator's Parrot on Blog Talk Radio was created as a satellite, a source of energy to fuel the Reach 4 Freedom: Heal Child Abuse Music Project dedicated to answers and solutions to end child abuse in our world. In effect, over 10,000 charges of energy have been generated to this purpose. 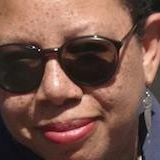 Valerie Michele Oliver is the producer and host of Creator's Parrot on Blog Talk Radio. She is also involved in projects as an author, ghostwriter, writer, songwriter, and is a healing artist and ordained minister. Creator's Parrot wishes to thank all the supporters for their visits, listens, posting, tweeting, prayers, intentions and other forms of participation.